Group of 4 miniature portraits. 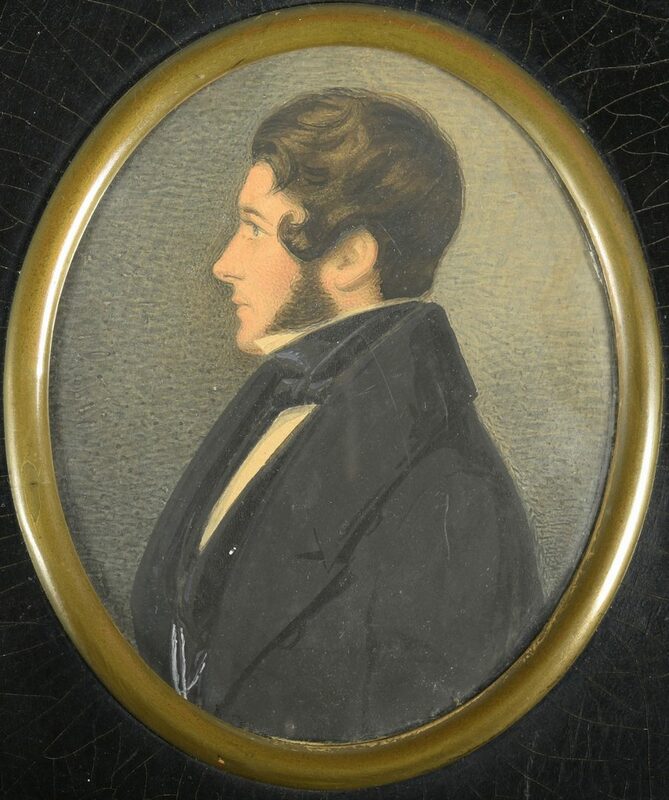 1st item: Watercolor on ivory portrait of a young man with black hair, patterned waistcoat and gold heart on chain around his neck. 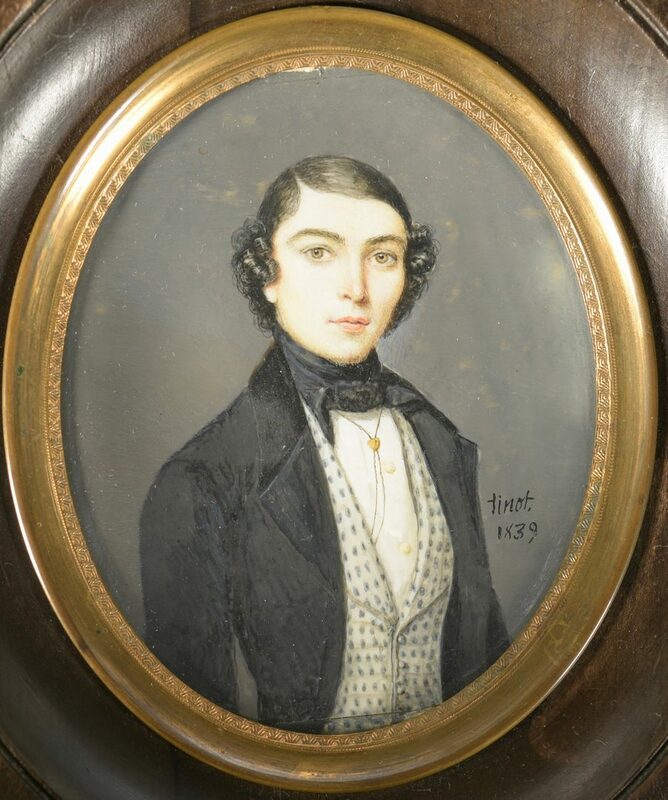 Signed at right “Tinot 1839″. 2 7/8′ x 3 3/4″. Dark stained wood frame with gilt bezel. 6 1/8″ x 5 1/2″. 2nd through 4th items: Watercolor on paper miniatures of a dark haired man and woman, plus a young man with light brown hair, all in circa 1840 clothing, with ebonized frames having gilt bezels and acorn hangers. Man and woman face each other in profile and measure 3 3/8″ x 2 5/8″. Young man 4″ x 3 1/4″ in frame 6″ x 5 1/4”. 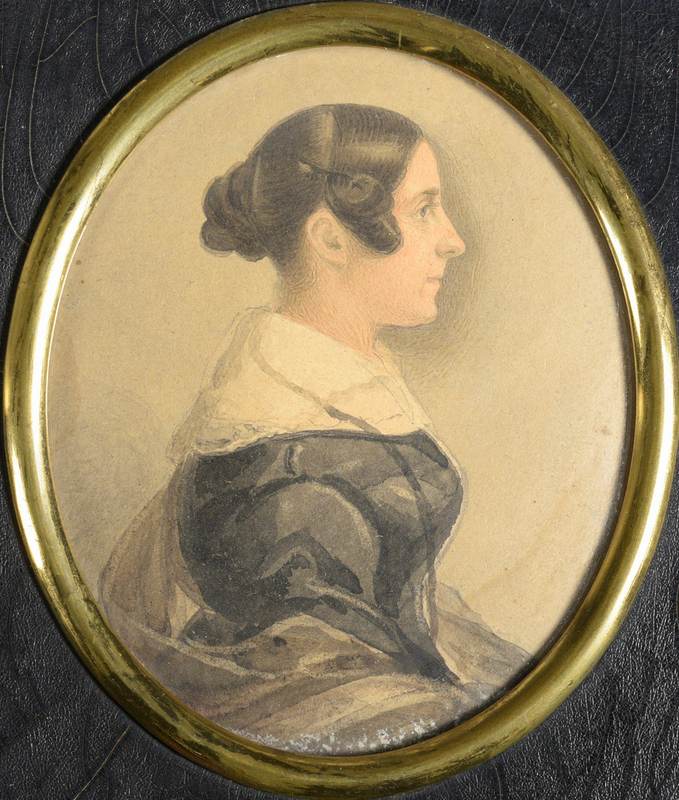 CONDITION: 1st item: 1″ crack at lowermost edge of portrait. 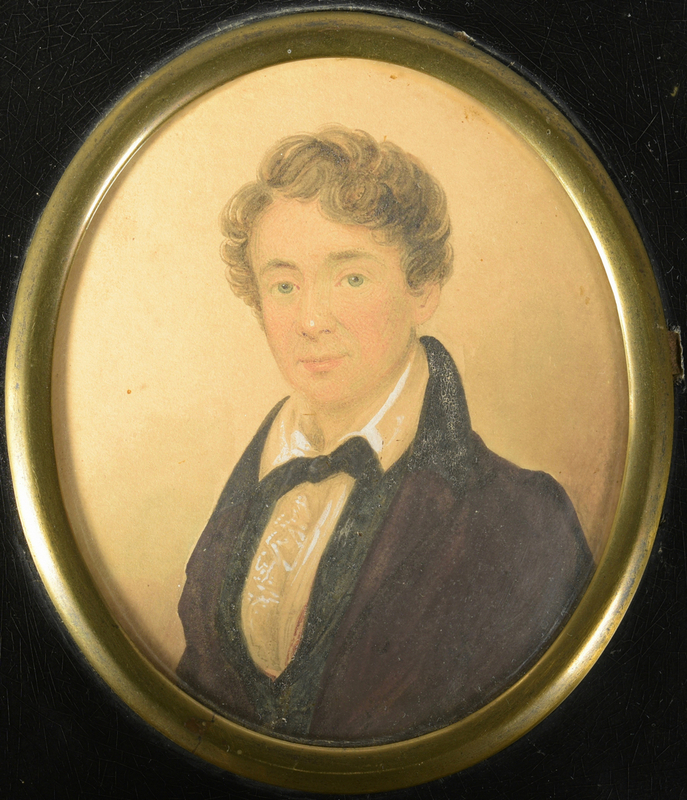 Woman’s portrait has water stain lower right edge and some possible white mildew at bottom. All 3 paper portraits have light overall toning.